Two pretty painful losses to being this 4-gamer against the Giants. The second hurt more than the first, as I’m sure you read Sarah’s recap. And you no doubt heard the myriad of #hottakes coming from Twitter and the rest of the Internet. Guess what? Dave Roberts was absolutely correct in the decision to remove Ross Stripling with one out in the eighth inning of a no-hitter. If this was Clayton Kershaw, we aren’t having any discussion about this. But since it wasn’t, the usual suspects fired up their hot take machines. So … do we really think that was Dave Roberts' decision? Hope Stripling on board w/call. His career. Understand team's position but he deserved to say if he wanted to protect arm or pursue history. Pedro Martinez on MLB Network suggesting #Dodgers had "pre-set" 100-pitch limit for Stripling before game. That's not a Dave Roberts call. Oh, right. He went on for nine more tweets of inane and utterly uninformed stuff about Stripling, Roberts and the front office (because of course). And just to cap it off, the obligatory tweet from a former pitcher (who, ironically, had a history of injury issues himself). Roberts, obviously, felt differently about the situation. Roberts said decision to remove Stripling was "no brainer." And Ross was perfectly OK with the decision (Andy is one of the good ones over there). Ross Stripling: "As far as getting taken out, I think it was the right choice. i was tired." I would have removed Stripling before the eighth inning even started, but having him on a short leash was the second-best option. Sarah said it well in the recap. 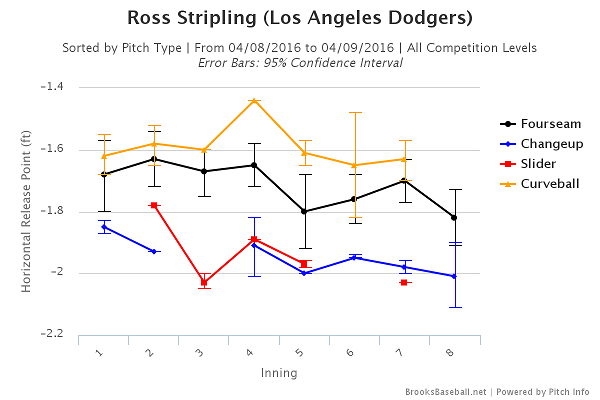 And honestly, who cares if Stripling was on a strict pitch limit and it wasn’t “Roberts’ decision” to remove him? That’s called being smart. 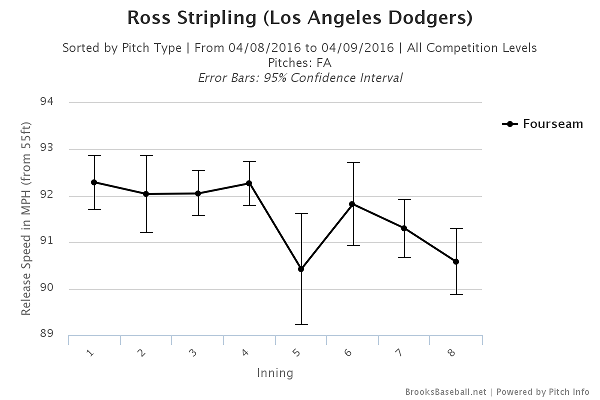 Odds are, 100 was the maximum number of pitches Stripling would have been allowed to throw. If he had given up a hit (or multiple) and a run or two before even the sixth inning, Stripling would have been out. He was attempting to make history and Roberts gave him some extra leash. That’s how this played out. Excuse the hell out of the front office for wanting to protect one of its players. The call to bring in Chris Hatcher was also the correct. The result was unfortunate. 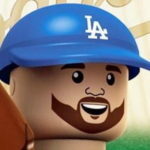 An argument could have been made for Kenley Jansen in that spot, but with the No. 8 hitter up, you have to think the second-best reliever in the bullpen could at least keep the ball in the yard. The most egregious decision was to pitch Pedro Baez and Joe Blanton in the ninth- and 10th inning. No amount of statistical and analytical data is going to convince managers to use their closer on the road of a tie game. That’s one formula that does not compute (unfortunately). Also to be fair, that was on Bob Geren because Roberts was ejected in the eighth inning, but I’m not sure Roberts makes that move anyway. But back to Stripling. Lost in all this was the fact that his outing was remarkable, especially considering the environment and circumstances. He made quite the statement and shows that he deserves a longer leash as the No. 5 starter than was previously expected by most everyone. Let’s break this down a bit. I’m not sure how much that last bullet point played into things, but it certainly wasn’t the same as pitching in dry conditions. He was also losing his horizontal release point a bit later in his outing, signifying he was tired and it was harder to repeat his delivery. But let’s ignore all that and send a 26-year-old making his MLB debut against a good team because he’s throwing a no-hitter — which is actually quite overrated when it comes to the game of baseball — back out there when he’s running on fumes. Need proof that the no-hitter is overrated? I give you A.J. Burnett, circa 2001 and Edwin Jackson, circa 2010. Burnett walked nine batters in his no-hitter, while Jackson walked eight. Stripling had walked four before he was removed. He was obviously pitching well, but it isn’t like he was putting the Giants down in less than 10 pitches every inning. He was laboring by the time Roberts came out to get him. Roberts and the front office’s job is to make sure this team is competitive for 2016. Running a kid out there in his first ever start above Double-A for more than 100 pitches for something that probably wasn’t going to happen anyway was the right call. It was unarguably the right call. This isn’t a sabermetrics vs. traditionalists thing; this is common sense. While the result of the game was unfortunate, the only thing lost was the game, which stings, but it’s also just the fifth game of the season. Roberts, personally, didn’t lose a damn thing by making the right decision — no matter what any blowhard tries to say.